2016 marks the 150th anniversary since Beatrix Potter’s birth, and whilst most of us are familiar with her beautifully illustrated children’s tales, there are many aspects of Beatrix’s life that are less well known. Sadly many of these wonderful facts weren’t included in the film ‘Miss Potter’. I think the film makers missed a trick here, as Beatrix’s life was so much more complicated and intriguing than was portrayed (in fact it was extraordinary, given the expected role of women at the time and the social context she was brought up in). I’d love to see a proper drama based on her life story. It won’t come as a surprise to many that Beatrix was born in London. However, much of her family’s wealth came from the north. Her father’s father owned a large calico printing works near Manchester, and her mother’s family made their money in the cotton trade and from shipbuilding. Beatrix was very proud of her northern family roots. In her twenties and early thirties, Beatrix became passionate about mycology, the scientific study of fungi. She produced hundreds of detailed botanical drawings and investigated their cultivation and growth. As a result, Beatrix even wrote a scientific paper, and although women were not themselves allowed to present papers to the Linnean Society in London, it was presented on her behalf. Although the paper was never published, scientists still recognise her contribution to mycological research today. You can see Beatrix’s beautifully accurate drawings at the Armitt Museum in Ambleside. Beatrix’s first book, The Tale of Peter Rabbit, was originally written as a picture letter to the son of her last governess, who had left the Potter household to marry and begin a family. The little boy was called Noel, and Beatrix wrote him a story with ink drawings, telling him that she did not know what else to write. As has happened with so many famous authors, Beatrix couldn’t originally find a publisher who would take her work. She had 250 copies of her Peter Rabbit book produced herself with ink drawings, and it was so popular she had 200 more printed. Frederick Warne eventually published the book with colour illustrations, with immediate success. Today we’re used to seeing Beatrix Potter cuddly toys and the many other items that have been produced based on the characters of her stories. It’s perhaps less well-known, however, that Beatrix designed many items of merchandise herself, including a board game (complete with her own rules), a Peter Rabbit doll, and even nursery wallpaper! It was Beatrix herself, rather than her publishers, who pushed forward these ideas, and she even searched for the manufacturers to produce them. On a visit to Hill Top, you’ll find some of Beatrix’s little books scattered around and left open at particular pages. This is because if you look carefully, some of the images are based on items of furniture or features of the house such as the doors and staircase. Beatrix’s parents were opposed to both her engagements, firstly to Norman Warne, and then to William Heelis. In the arguments leading up to her marriage to William Heelis, her brother Bertrum suddenly revealed he had secretly already been married for 11 years! When Beatrix married the Lakeland solicitor William Heelis, they set up home at Castle Cottage, which can be seen across the field from Hill Top. Hill Top remained her studio and the place she received book visitors, such as her fans from America, but for many years she didn’t actually live there. On marrying William Heelis, Beatrix was delighted to be able to use her marital name, and became completely absorbed with Lake District life and farming. She became a highly respected farm owner, land manager and farmer and breeder of Herdwick sheep, and was even elected President of the Herdwick Sheep Breeders’ Association. In later years, Beatrix became increasingly concerned at the behaviour of her publishers, Frederick Warne, and lack of proper accounting. In 1917, Harold Warne was arrested for trying to siphon money into his fishing business in Jersey, and he was subsequently sentenced to 18 months’ hard labour at Wormwood Scrubs. Beatrix produced another story called the Fairy Caravan, which was published in the United States. She had a minimum 200 copies published in the UK to claim copyright, but felt uncomfortable at a book containing what felt like too many autobiographical details – many of the characters were based on people she knew – being published in London. A much more well-known fact, thanks to recent media attention and the documentary filmed with Patricia Routledge (aka Mrs Bucket) is that Beatrix wrote a final book called The Tale of Kitty-in-Boots, but sadly it was never finished. In September 2016, the book is finally to be published, using illustrations by the popular children’s illustrator Quentin Blake. According to the Westmorland Gazette, the story wasn’t actually ‘lost’ at all – but that’s another story in itself (unfortunately not online but in the print version 04/02/2016 – apparently the story was printed in the book A History of the Writings of Beatrix Potter). When she died in 1943, Beatrix left everything to her husband William Heelis to be passed on to the National Trust. She was passionate about land conservation, in part as result of her friendship with Canon Hardwick Rawnsley, a local vicar who she had met on her first holiday to the Lakes. Rawnsley later co-founded what was to become the National Trust. William Heelis himself died just two years after Beatrix. In total, Beatrix left over 4,000 acres of land, including 14 farms and 20 houses, to the National Trust. Without her incredible foresight, the Lake District might have looked quite different today. A lovely and very accessible overview of her whole life – you’ll devour it in one sitting! Two 32-page booklets available from the National Trust gift shop at Hill Top (and no doubt other outlets) and which both give very readable accounts of Beatrix’s life in the Lake District and how it inspired her work. A much more in depth read focusing on Beatrix’s life in the Lake District, which contains stunning pictures. A biography which gives a very detailed account of Beatrix’s life and the times in which she lived. I’ve really enjoyed reading large chunks of this, but it is difficult to dip into and easier to read after getting a more general overview from one of the publications above. 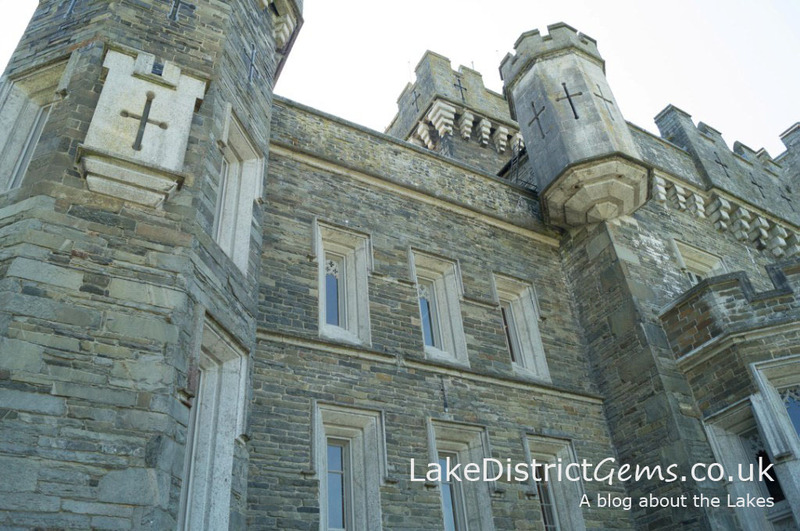 If you’d like to find out more about what’s going on in the Lakes to celebrate the 150th anniversary, there’s an excellent list on the Lakes Culture website. There’s also going to be a musical theatre production with Beatrix Potter characters at the Old Laundry Theatre in Bowness-on-Windermere, and in September, a production about her later life called Meeting Bea. Have you visited any of the Beatrix Potter attractions or National Trust properties in the Lakes? Share your experiences by leaving a comment below.